06 Sep 2018 --- The International Organization for Standardization (ISO) is developing a series of standards for verifying many of the ingredients of infant formula to show the product is safe for consumption and contains what it says on the label. The latest one, ISO 21422 | IDF 242 for the determination of chloride content, has just been published. Infant formula is perhaps one of the most highly-regulated foodstuffs in the world which is why checking the exact composition is a rigorous affair. The manufacture of infant formula must adhere to strict regulations before it can arrive on supermarket shelves. Among the most heavily regulated and tested food products in the world, infant formula, and formulas for special medical purposes, come with rigorously checked nutritional labeling to ensure they are what they say they are. Nutritional labeling is heavily regulated, often requiring confirmation to the Codex Alimentarius, or Food Code, the international reference for food supplements. Codex Alimentarius – the Joint Food Standards Program established by the Food and Agriculture Organization of the United Nations (FAO) and the World Health Organization (WHO) – develops harmonized international food standards that protect consumer health and promote fair practices in the food trade. ISO, in cooperation with a number of international industry bodies, is developing a series of International Standards on validated methods of analysis for infant formula, designed to verify these components and demonstrate compliance to Codex standards. Codex Alimentarius has adopted most of these standards as reference and dispute resolution methods. 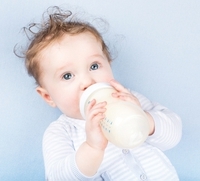 One such standard is the recently published ISO 21422 | IDF 242, Milk, milk products, infant formula and adult nutritionals – Determination of chloride – Potentiometric titration method, which specifies a method for determining chloride in infant formula, milk and milk products. Published jointly by ISO and the International Dairy Federation (IDF), ISO 21422 | IDF 242 is the result of close collaboration between ISO, the IDF and the independent standards developing organization Aoac International. The experts involved include those from industry, regulatory bodies, commercial laboratories and academia, demonstrating a truly harmonized standard that can be used to meet labeling regulations all over the world. ISO also has a wide range of other International Standards for verifying the contents of infant formula, including those for fatty acid composition (ISO 16958 | IDF 231); total iodine (ISO 20647 | IDF 234); vitamins A and E (ISO 20633); vitamin B12 (ISO 20634); vitamin C (ISO 20635); vitamin D (ISO 20636); myo-inositol (ISO 20637); nucleotides (ISO 20638); and pantothenic acid (ISO 20639). Baby & Toddlers International Organization For Standardization International Dairy Federation Milk Infant Formula Nutrition Codex Alimentarius Joint Food Standards Program Labeling.